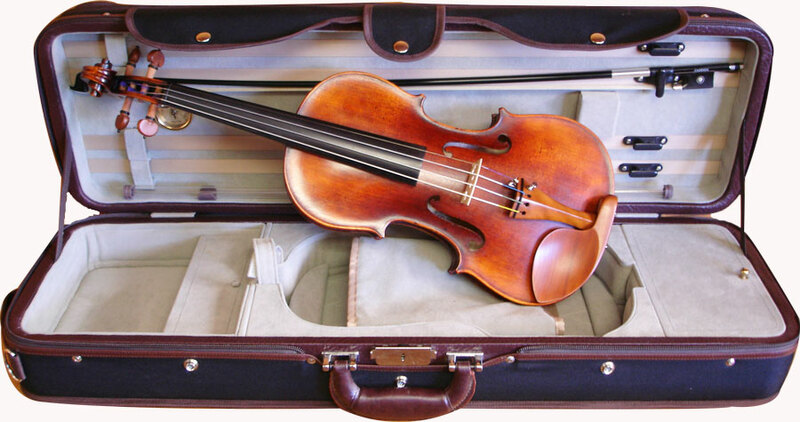 The Andreas Eastman 305 violin outfit is very popular and well known instrument for advancing players. 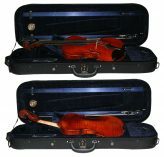 It includes a professional style oblong case and a Cadenza carbon bow. Some of the outstanding features include beautiful, select tonewoods, genuine hand inlaid purfling, spruce top, maple back, maple ribs, maple scroll, ebony fingerboard, Dominant or equivalent strings, and a medium brown antiqued varnish. 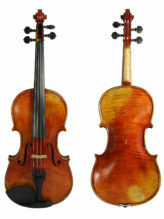 These fully carved instruments provide quality of sound and craftsmanship at a great price. Available in sizes 4/4 thru 1/4. Available as either an instrument only or as an outfit. Special sale price on the outfit includes a Cadenza carbon fiber bow and a free Angel violin case. Note: Instrument no longer comes with boxwood fittings. They are now available with standard ebony fittings. Case may vary. Store stock is limited. Instruments may be drop-shipped from the manufacturer. © Violin Outlet. All prices subject to change without notice. 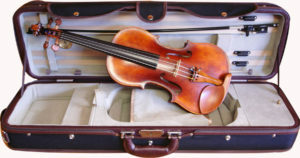 We are Nevada’s largest violin shop, specializing in all the needs of the stringed instrument player.